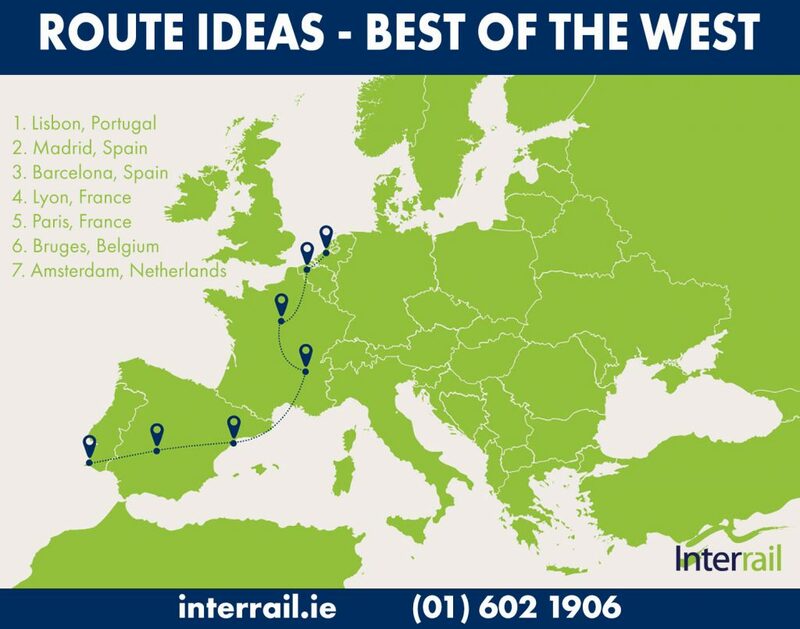 Interested in going Interrailing and see some of the best places Western Europe has to offer? Then hop on board because this railroad trip is the one for you. From Lisbon’s gorgeous beaches all the way to Amsterdam’s quaint canals, you’ll hit almost every major city destination in Europe’s western half. The best part of this trip? It has a combination of historical views to seaside views, so you don’t ever have to worry about getting landlocked or become seasick from being on the side of the shore. Your first stop on this “Best of the West Tour” is the gorgeous Lisbon in Portugal. The capital of Portugal, Lisbon is home to beautiful beaches, impressive attractions like the São Jorge Castle and of course lots of good Portuguese food to eat. Lisbon has basically everything for the traveller who can’t decide between touring on foot or being lazy for a day on the beach. We recommend you spend a day doing both! Yes, the train to Lisbon to Madrid is a bit of a hike. This would be one of those moments when the light bulb goes off and you think “oh, I should catch the night train!” Yes, yes you should catch the night train otherwise you’re going to end up more haggard than the day you stumbled out of your final morning exam. The route isn’t operated during the day anyway! In case you can’t catch a wink of sleep you might want to stop and get a quick cup of coffee at one of the best cups of coffee in Madrid – Toma Cafe. Now is it the best cafe, eh, maybe but you probably won’t care once the caffeine kicks in and you can start enjoying some of Madrid’s best places to hit up, e.g Buen Retiro Park, Sabatini Gardens and the Santiago Bernabeu. First and foremost Barcelona has some great beaches from Nova Icaria Beach to Caldetes Beach, each specified for a certain person in mind. Several of these beaches are closer to the city so they may be busier like Castelldefels Beach, so you may want to avoid the more city centre beaches and try travelling a little way out to a beach like Garraf Beach. Getting to beaches early in the morning are also a good idea to avoid the crowds and stake your claim over one perfectly sandy spot near the sun and shade. Trying to save some money? Barcelona tends to be more of a touristy city, causing prices to be pretty expensive. If you are looking to experience a part of Spain’s culture, Madrid may be a better place to travel to for its influx of bars and traditional food to try for less. Lyon, France is roaring with things to do from its Roman Amphithéâtre des Trois Gaules, to the Place des Terreaux. Also conveniently located right next to the Rhône and the Saône Rivers, Lyon is a great chance to take a short river cruise to see the city lit up at night. Once you’ve hopped off your cruise down the river you can really start to enjoy the city at night by heading out to some of is lively clubs and bars. If you’re a pretty chic person, you might head to Clubs in Lyon, but if you’re not so chill you may enjoy the L’Alibi, full of awesome lasers and mirrors. There are so many things to do in Paris, where does one even start. 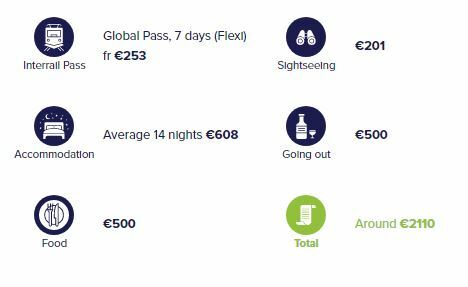 Though Paris is notoriously expensive, you can’t hit up a few of Paris’ key landmarks without paying much or even at all. Want to go to the famed Louvre Museum? Check out the museum on Friday after 6 p.m. if you’re under the age of 26, and you’ll get in for free. Yup, that’s right, for free. Also, do you really need to climb the Eiffel Tower? Sure the view may be amazing, but you can also get an amazing view in half the time by heading to the Arc de Triomphe. With cute cobblestone streets and quaint canals, Bruges in Belgium is perfect for anyone looking to get a traditional slice of life of picturesque Europe. With its pretty insta-worthy buildings and streets, you won’t know whether you want to take a selfie in front of the Belfry of Bruges or the Church of our Lady. If you have a busy day, you could stop down to the Markt, the popular Plaza in Bruges with most of Bruges top tourist attractions. But what if you’re tired of all the city buzz and just feel like getting away for a day? Luckily you can head to the beach not too far from Bruges centre, and enjoy a day or possibly two wandering the coast. We recommend you check out Ostend. Don’t listen to Colin Farrell, Bruges is great. Finally, the last stop on this best of the west tour brings you to one of Europe’s favorite cities- Amsterdam. See the world’s largest collection of Van Gogh, or take a different route instead, or learn about some World War II history when you visit the Anne Frank House. In the mood for something more exciting? Visit De Pijp, now known to be more popular among younger people for its cool cafes and underground bars. Just like Bruges, you can also do some cool canal riding in the city and see it bright and sunny during the day or lit up at night. Before you go and conclude this epic adventure, make sure to enjoy a night out on Amsterdam’s party scene.